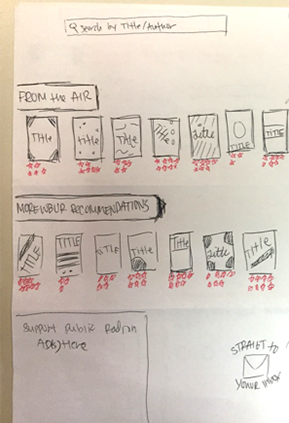 This project examines the question: can we design a book-finding experience for WBUR listeners that compels them to purchase books? 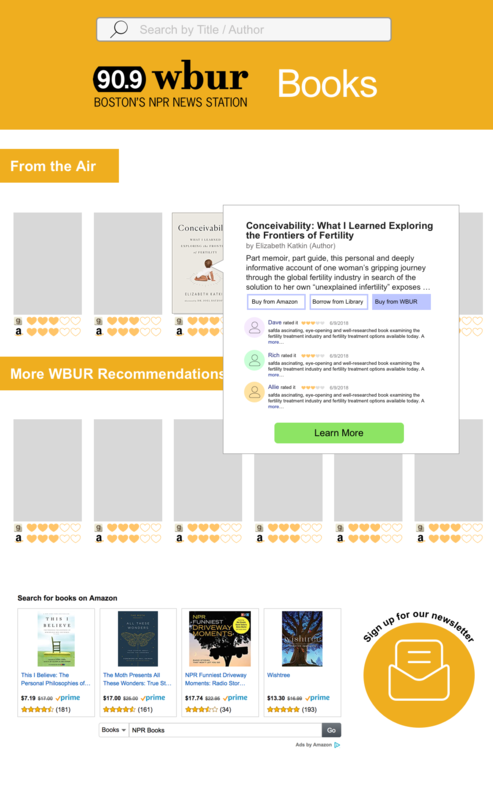 The WBUR Bookshelf is a section of www.wbur.org that presents all books discussed on WBUR radio programs. 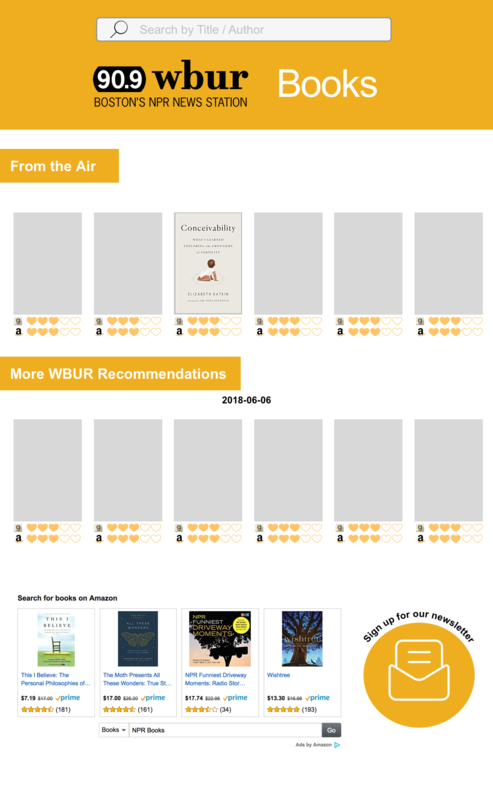 WBUR provides rich book-related content that can be associated with Amazon’s affiliate marketing program, and thus help raise money for public radio. 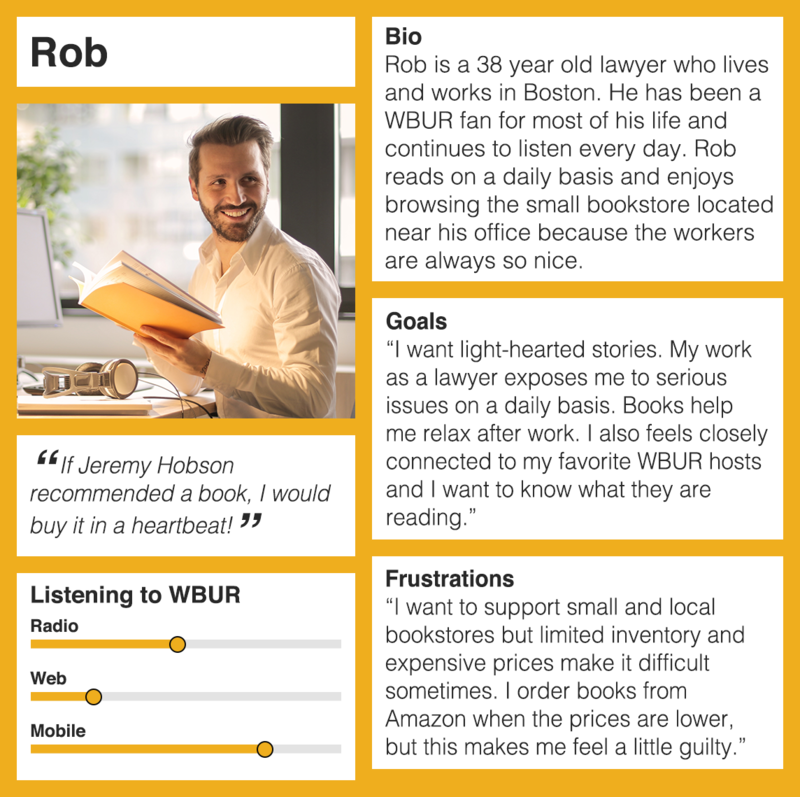 This project was part of my summer internship at WBUR’s BizLab – a business innovation lab geared toward running quick UX experiments to identify sustainable revenue streams to fund public radio. It’s difficult to find reliable resources for book recommendations. It’s easy to forget something that’s heard on radio; listeners don’t always remember what to search for when transitioning from traditional radio to the web. 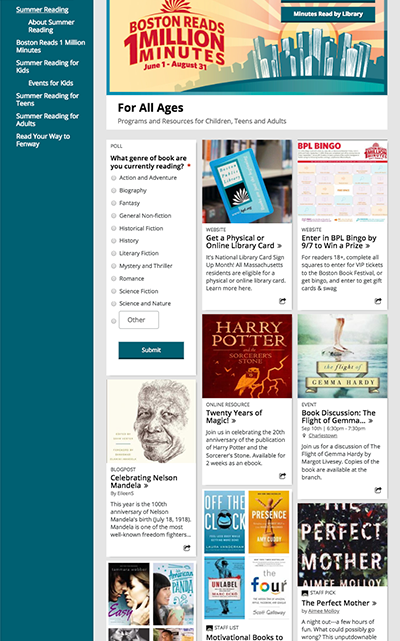 Information on books discussed on WBUR programs are scattered across the site and difficult to find. 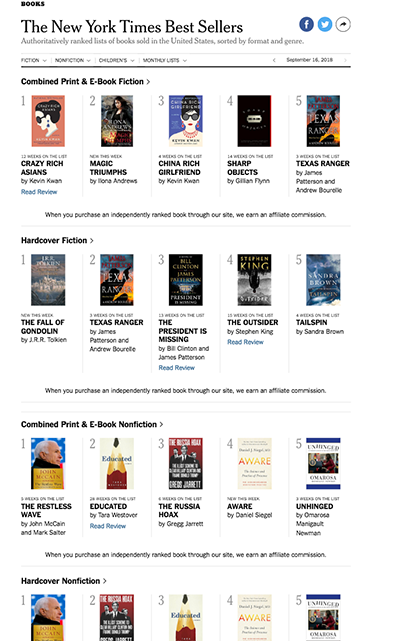 Associate book recommendations with trusted brands and figures. 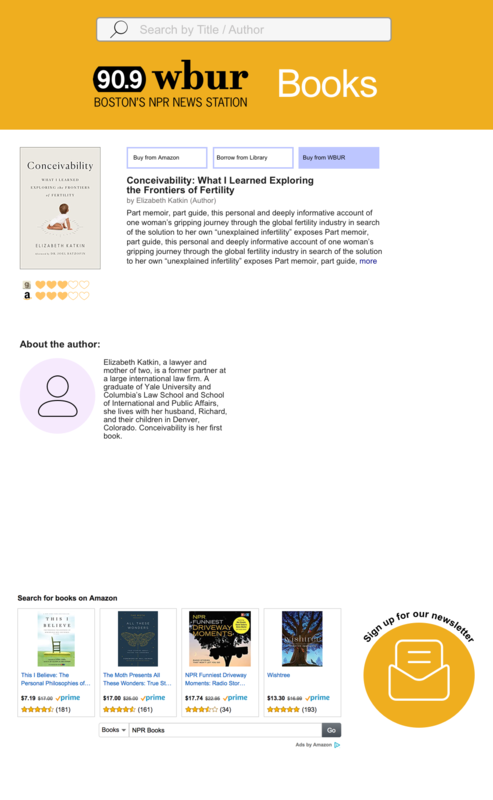 Visually present book content so that users can easily associate with a particular radio program. 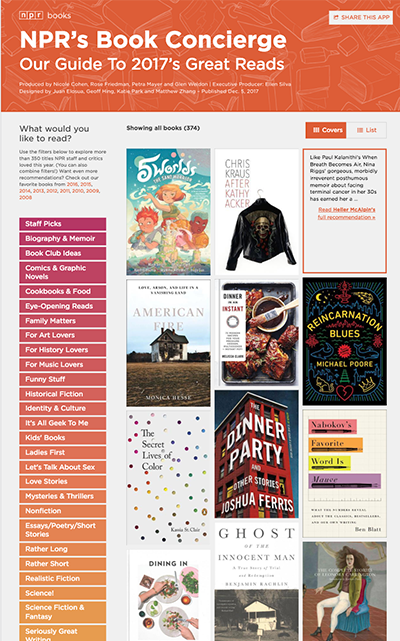 Provide all book recommendations on a single, easily accessible location. As a daily WBUR listener, I want to find a book that I heard about while listening to one of of my favorite WBUR programs so that I can read it during my commutes. The local bookstore doesn’t carry the next book I want to read, but Amazon does. As a WBUR fan, I want to support WBUR while I shop for books on Amazon so I feel less guilty. 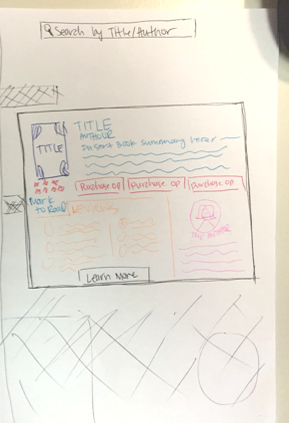 Prepared quick sketches and wireframes to present internally to the team. 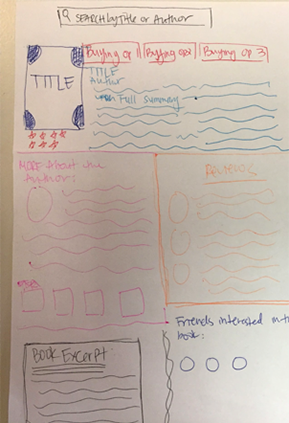 Next, I created two prototypes to explore different layouts that present book related content. To gather more user feedback, I recruited six participants for user tests and interviews. 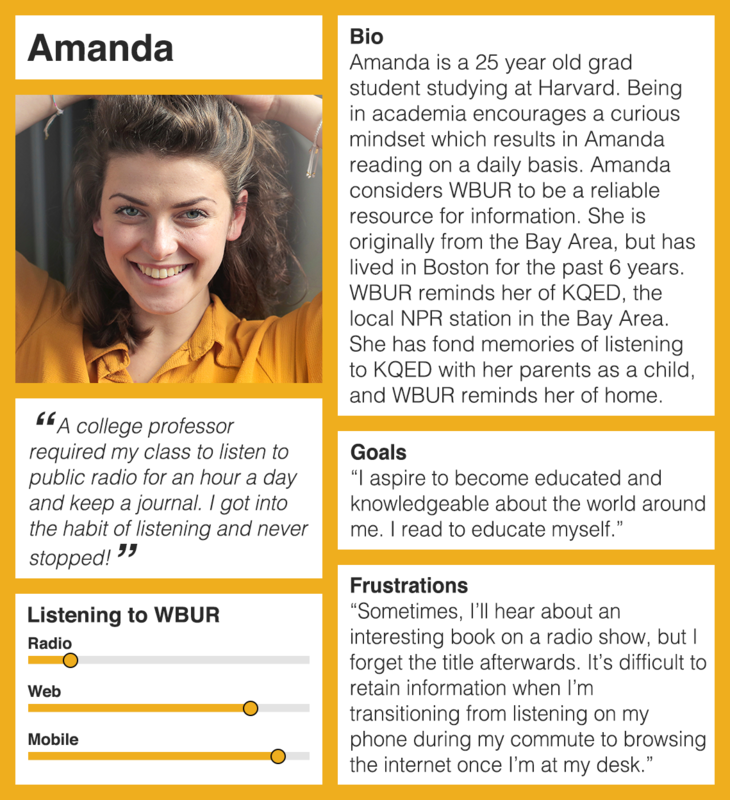 As part of a 7-day experiment, we launched responsive prototype and directed traffic from the wbur.org homepage. This was implemented with Google Analytics and Inspectlet (a screen recording tool) to help us analyze user behavior and measure results. 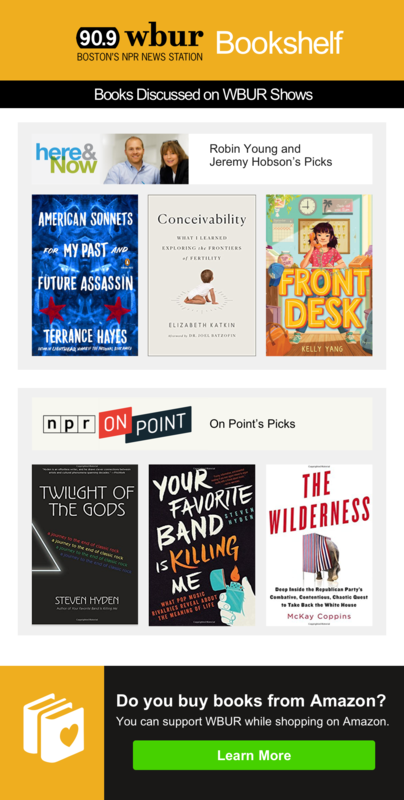 While the WBUR bookshelf was designed based on user needs, 10 items purchased over the course of a 7-day experiment did not justify further investment. 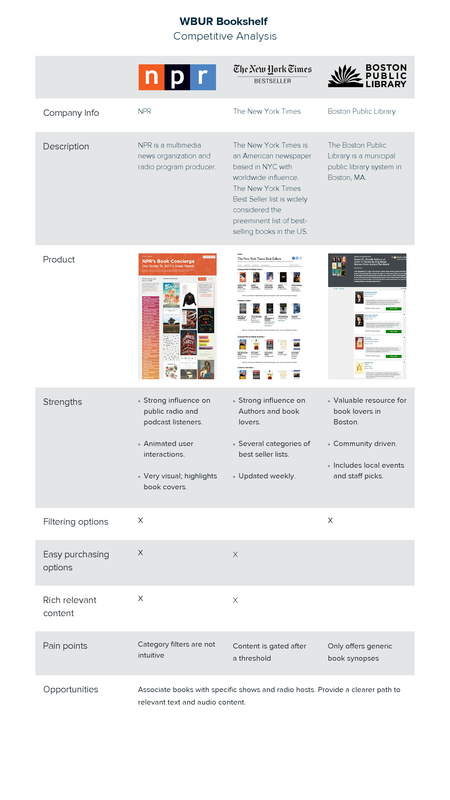 As a next step, we decided to polish some existing book related content and run additional experiments to gauge conversion rates for different book content layouts. 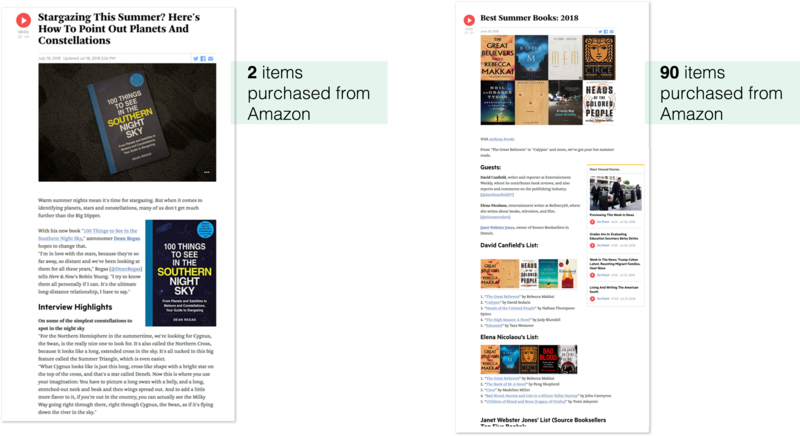 The Summer Reading List resulted in 90 purchases after a 7-day long experiment, making it the best converting layout by far. The next iteration of the Bookshelf should incorporate the following key findings and present in a list like format. This will help us meet business objectives while better serving our users.